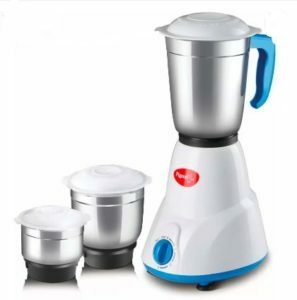 Buy Pigeon Gusto 550 W Mixer Grinder (White, 3 Jars) at Rs 973 only on flipkart. Pigeon is a really old and trusted brand when it comes to kitchen appliances. It has a history of manufacturing high quality mixers for years. So, order now before the stock goes out or the price rises up.